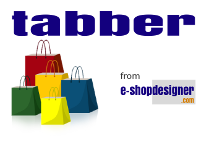 v1.23 : 2018-10-26 - Experimental alternative HTML attributes in place of Tabber shortcodes provide better support on Facebook, Instagram and Ecwid mobile ShopApp. v1.22 : 2018-09-19 - Added external coding option to re-initialise. Please ask if you think you may need to use this. v1.21 : 2018-08-21 - Added option for accordion style tabs on mobiles, and consistent text size in tabs when placed across the bottom. v1.20 : 2018-07-15 - Another fix to work around MS Edge timing issues still breaking tab rendering in some situations. v1.19 : 2018-07-14 - Fix MS Edge word-break default causing words in tab names to split badly. v1.18 : 2018-06-28 - Fix for Wix, Ecwid, MS Edge combination stopping tabs from rendering. v1.17 : 2018-03-04 - Support new Ecwid product details layout by adding Tab positioning options. v1.16 : 2017-11-22 - Support new Ecwid styling options for product list and details pages. v1.15 : 2017-06-15 - Fix for timing issue on slow connections that may prevent tabs from showing. v1.2 : 2016-04-20 - Simplified and improved choice of tab styles based on advice from Ecwid. Minor bug fixes. v1.1 : 2016-03-25 - Fix for tab content not changing when navigating to a different product.